Derek makes plenty of long-hauls to do his racing, from the picturesque, sun-kissed shores of Barrow-In-Furness. 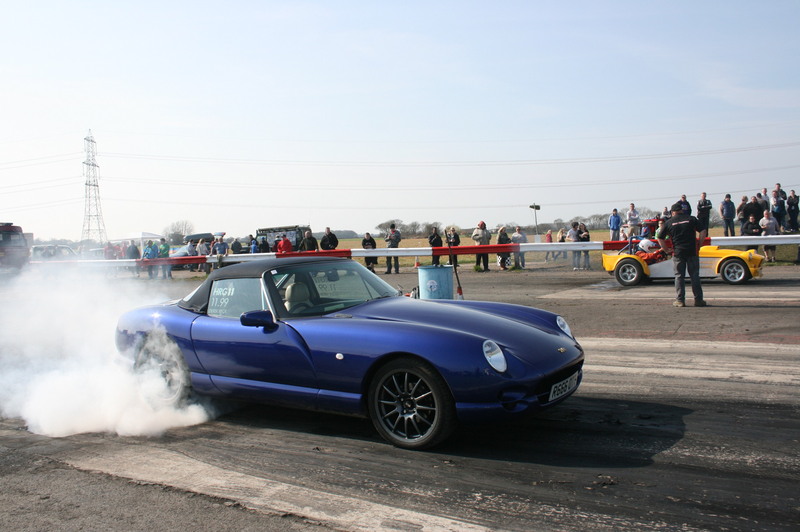 His 4.6 litre TVR Chimera gets its low-11 second tickets thanks to an additional boost of nitrous. It's as happy at the circuit track days as it is on the quarter mile too! Derek took his first podium finish in 2013, and his first stone wall in 2014.